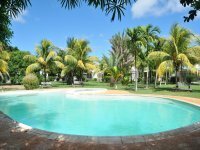 Welcome to our selection of holiday homes to rent in Mauritius. The Republic Of Mauritius is an island nation located off the southeast coast of Africa northeast of Madagascar in the Indian Ocean. The climate of Mauritius is tropical with only two seasons: Summer runs from November to May and winter runs from May to November. 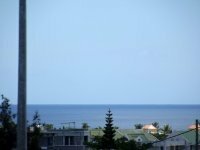 Summer temperatures range from 26 to 32 degrees C, while winter temperatures range from 20 to 26 degrees C.
The perimeter of the island's coast is about 80 miles long and most of it takes the form of clean, white beaches. All the typical water based activities can be found around the coast, such as scuba diving, snorkeling, windsurfing and water-skiing. Sometimes such activities are even included by the hotels at no extra charge. There are also slightly more adventurous pursuits such as submarine tours, deep-sea fishing or parasailing. In spite of the extensive coast, do not forget the plentiful inland activities on offer. Golfing, horse riding, hunting and eco-tours are just a few examples. Mauritius has very distinct wildlife. It is famous for the being the former habitat of the dodo, which was discovered and hunted to extinction in the 17th century. Very large native bats, including flying foxes, can be found. Other species have been introduced by humans, such as the crab-eating macaque, mongoose and rusa deer. Native birds, some of which are endangered, include the kestrel, parakeet and pink pigeon. The Black River Gorges National Park to the south west serves as a bastion for many endangered species and is a must visit for those tourists interested in nature. 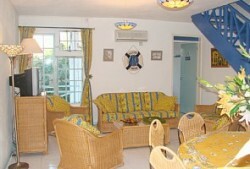 Looking for self catering holiday accommodation in Mauritius? 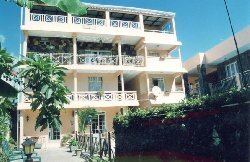 Then below is a selection of villas in Mauritius and apartments in Mauritius that can be rented direct from their owners. You can either click on each listing for further details or you can use our search engine on the left if you are looking for something in particular.